The Aston Martin DP214 was a prototype sports car developed by Aston Martin for use in grand touring-style racing, including the 24 Hours of Le Mans. Two DP214s were built in 1963, with one surviving today. Unlike the DP212, the DP214s would be used in races other than Le Mans. The DP214 made its debut with DP215 at the 1963 24 Hours of Le Mans, Bill Kimberley and Jo Schlesser in 0194 and Bruce McLaren and Innes Ireland in 0195. During practice recording, DP214 set an unofficial time of 3m 58.7s and an official time of 4m 00s, with Ireland recording 300 kilometres per hour (186.4 mph) down the Mulsanne Straight. The race plan was for 0194 and 0195 to lap at 4m 15s. On lap 28 McLaren in 0195 pitted when leading the GT class and 10th overall. Ireland took over 0195 and took it up to 6th overall but during his stint a piston failed on the Mulsanne Straight on lap 60 (4h 06m) and forced them to retire, which was a result similar to that of the DP212 in 1962. The engine failure resulted in 20 litres of oil being spilled on the track, causing a multiple accident involving Roy Salvadori's Jaguar E-Type lightweight and Jean-Pierre Manzon's René Bonnet Aerodjet LM6. Christian Heins' Alpine M63 Renault was unable to avoid the wreck, swerved out of control, hit another vehicle and spun into a lamp post exploding into flames, killing him instantly. DP214 0194 had to stop on lap three to unblock a main jet, but had more luck during the race, reaching 5th overall in 110 laps (nearly 8 hours). By 10 hours Kimberley and Schlesser were lying 3rd overall and leading the GT class, however they suffered the same fate as McLaren and Ireland, with a piston failure. That was Aston Martin's last Le Mans of the era. The piston failure was caused by inadequate strength around the underside of the gudgeon-pin boss. John Wyer records that both cars (as well as DP215) were capable of winning at the Le Mans that year, but their preparation left insufficient time to have forged pistons manufactured so they made do with cast pistons; it was these that failed in the race. Perhaps, another missed opportunity for Aston Martin. Moving to the Guard's Trophy at Brands Hatch, a lone DP214, driven by Innes Ireland would manage to finish in sixth place overall, and second in class. With the second DP214 (0195) retiring, after spinning off (Kimberley). This was followed by a seventh-place finish and fourth in class in the TT at Goodwood for 0194, with 0195, driven by McLaren retiring after 95 laps with a valve failure. The two cars were certainly capable of winning the TT at Goodwood in the hands of Innes Ireland and Bruce McLaren, but unfortunately they fell foul of the RAC Scrutineer (Procter). He refused to allow the cars to run with the 6.5" inch rims that they had run at Le Mans, because they had not been homologated, even though by then the production cars were fitted with them as standard. As it was, they were required to race with 5.5" inch rims, which actually narrowed the track by 4" inches and ruined their handling. They had never run with these narrow rims in the first place, and were never to do so again. An angry Innes Ireland spent the whole race going luridly sideways in the car which he had originally put on pole. Next was a victory at the Inter-Europa Cup at Monza driven by Salvadori, setting a new GT lap record, with an average speed of 120.23 mph (193.49 km/h). 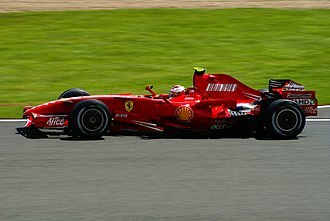 This race also saw the second DP214 (0195, driven by Bianchi)) take 3rd (119 mph (192 km/h), average speed). The next two rounds at Monthéry would see the DP214s take victory (0194, driven by Claude Le Guezec) and second place (Dewez) in the first race. The second race would also see a DP214 victorious again, this time with 0195 winning (Schlesser) and 0194 (Le Guezec) finishing in fifth. Following the 1963 season, both DP214s were sold to John Dawnay's racing team for use throughout the international circuit. With 0195 later being sold to Brian Hetreed in 1964. Mike Salmon in 0194 and Hetreed in 0195 took both DP214's to Daytona 2000 km. Salmon with co-driver Roy Salvadori and Hetreed partnered by Chris Kerrison. Both had been up to 5th place during the race. But 0194 retired with value failure and 0195 slipped back to 17th when the gearbox started to seize. At the International Trophy Silverstone GT race, Salmon broke the GT record (with 0194) in practice with 1m 41.0s but spun in the wet on the first lap. But worked his way back up to take second place overall. Around the same time, Hetreed took DP214 0195 to the Wiscombe hill climb and set a best time. Both cars then went to Spa 500 km, but both DP214's had engine troubles and neither finished. Unfortunately, one of the DP214s (0195) was destroyed in an accident during practice at the Nürburgring 1000 km in 1964, killing driver Brian Hetreed. Hetreed crashed on his first practice lap, with the car rolling down a bank at 'Bergwerk' corner. The remains of 0195 were returned to London from Germany and were comprehensively cut up and destroyed. With the engine being repaired and going into an Aston Martin DB4GT Zagato, with chassis number DB4GT/0200/R. The other lone DP214 finished the season, moving onto Le Mans again. With Peter Sutcliffe and Mike Salmon racing at the 1964 24 Hours of Le Mans. At the end of the first lap DP214 was running in tenth place, dropping to eleventh after half an hour. Early evening pit stops had moved the car up to sixth overall, but again dropped, down to twelfth place. However, after 17h 45m on Sunday morning they were disqualified due to replenishing the car's oil at the wrong time when lying 11th. In the closing event of 1964, 0194 finished as the first GT car and fifth overall, in the Silverstone Martini meeting, with fastest lap of 1m 42.8s and 4th in class in the Guards Trophy despite a spin at Clearways. In 1965 the sole remaining DP214 was bought by Tom Rose, who painted the car, a very dark blue, possibly black in colour. Rose registered the car with the registration number '5 NBP' (which it still holds today) and then competed the car in Aston Martin events during the next year. Results including a win at Wiscombe Park and at the Belgian Day of Records (Jabbeke Speed Trial) Rose set a best time, with a top speed of 163.5 mph (263.1 km/h). Finally driven by Pye, the car competed at B.A.R.C. Goodwood event, where Pye set a best time. Colin Crabbe then acquired the car in 1965, with the car now showing flared wheel arches to accommodate wider wheels. 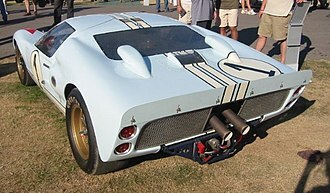 In 1966 Crabbe raced the project car at the B.A.R.C. event at Oulton Park and was victorious overall. Crabbe was then second overall in the Monte Cristo Trophy at the AMOC St John Horsfall meeting at Silverstone, second only to Ron Fry’s Ferrari 275 LM. Neil Corner also drove DP214 in 1966 and won overall at the Bentley Drivers' Club (B.D.C.). In 1967 at the Belgian day of Records, Crabbe won again, this time finishing first in class. The final event under Crabbe's ownership was with Neil Corner in the 'Emu Trohpy' at Aston Martin Owners Club (AMOC) Silverstone event. After the last race under ownership of Colin Crabbe, Mike Ottway acquired the car with a 3,750 cc (229 cu in) engine installed and a damaged DP215 engine as a spare. After this Nick Cussons raced the car regularly, but it is unclear whether Cussons owned the car during this time. In 1973 Cussons won first in class at Curborough, and was again first in class at the Jaguar Drivers' Club (JDC). Cussons was also first overall in the B.R.S.C.C. at Snetterton, also in 1973. In its last outing of the era, Cussons was third in class at B.A.R.C at Thruxton in 1974. During this period Nick Cussons also raced the car in his own Cussons Post-Historic Championship. During the period of 1974/5 to 1992 the project car underwent a full restoration by Mike Ottway. The car was then acquired by Simon Draper. Presumably this was when the car was returned to its original colour, which it still has today. Simon Draper owns the car to date. The car reappeared after its long restoration in 1992 and raced again with Draper at Silverstone in 1994 in the Coy's Historic Festival. 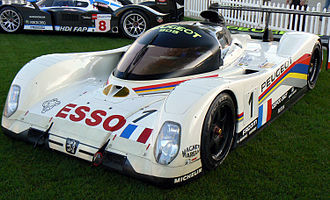 DP214 then raced at the Goodwood Festival of Speed in 1995, driven by Ian Mason. The car competed again at the Silverstone Coy's meeting in 1995 and 1996 with Draper and Gary Pearson finishing second overall in 1995 (after being on pole in part one of the GT Race). With Draper and Mark Hales again finishing second in 1996 in the GT race. In 1997, Simon Draper entered DP214 into the Concours d'Elegance at Pebble Beach in California. In 1998 and 1999 Draper joined by David Clark entered the Coy's Historic Festival at Silverstone again, finishing 13th (1998) and 9th (1999) in the pre '64 GT Race. 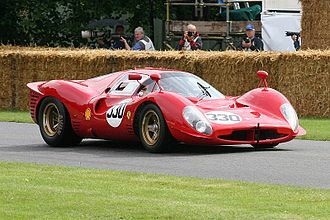 Again in 1998 and 1999 Draper and Clark competed the DP214 in the Goodwood Revival Meeting R.A.C. Tourist Trophy Celebration Race. In 1998 they finished a very respectable fourth overall and finished 6th overall in 1999. Also at Goodwood in 1999, DP214 competed at the Goodwood Festival of Speed event, and Gillian Goldsmith finished first in class. In 1999 the Aston Martin featured in the Aston Martin Lagonda Limited official calendar. The original DP214 could now be worth anything in excess of 7 figures, having been sold in 1993 for in excess of £1,000,000. The car was involved in an accident at the 2012 Goodwood Revival. Extensive damage occurred when the car hit a tyre wall at speed. There are three known, replica DP214s supposedly based on DB4 and DB4GT chassis. The first, initially claiming to be built up from some parts of the crashed 214/0195/R, was commissioned by American Ken Lawrence with a body built by Shapecraft, using the surviving DP214 as a template. Lawrence said he had found a cross-member showing the correct chassis number, in Germany, in late 1979. He also claimed he had found an engine of 0195 which had raced at Le Mans, but this engine was scrapped due to a large 3" inch hole in the block. The car had been built up with contemporary Aston Martin parts, with a DB4GT engine (notably stamped 370/0195/GT), and gearbox. The body, which was crafted by Shapecraft, bears a fairly close resemblance to the original, but the similarities end there; there is no evidence that this car contains any significant authentic components. Therefore, this car is aptly deemed a modern recreation, which aesthetically shares a large resemblance to the original DP214. This replica is currently owned by Wolfgang Friedrichs (who also owns DP212) and which has had a good record in the Spa 6 hour races, of two overall second places (2004 & 2006) and an overall victory in 2005. The second car is much more recently built by Martin Brewer of Runnymede Motor Company, but the build was apparently started (according to the Aston Martin Owners Club) alongside the aforementioned replica. It was built up using DB4/559/L as the basis. Completed in 2005, it was given the registration number ‘DSL 449’, but has since been re-registered as ‘5 BVY’ in order that it might closely resemble the surviving, original car: ‘5 NBP’. This car has appeared at the Le Mans Legends race on 16 June 2007. The third replica DP214 was commissioned by Robert Rawe and was completed in late 2013. This car competed in the Spa 6 hours event in the same year. (For 1963 24 Hours of Le Mans, Wyer quotes 317 bhp (236 kW; 321 PS) at 6000rpm. ^ Peralta, Pablo Robert. "Christian Heins". historicracing.com. Archived from the original on 5 March 2016. Retrieved 28 July 2015. ^ Jenkinson, Denis (July 1964). "The 24 Hours of Le Mans". Motor Sport magazine archive. p. 22. Retrieved 25 January 2016. 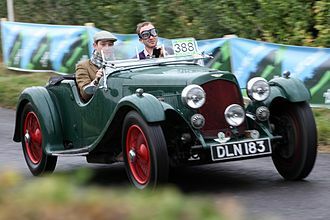 Wikimedia Commons has media related to Aston Martin DP214. The Aston Martin DP215 was a prototype sports car built by Aston Martin for grand touring-style racing in 1963. It was built alongside the similar DP214, both of which replaced the previous DP212, only a single example was built, which survives today. Even though the car was intended to carry the Tadek Marek designed 5-litre V8 engine. Even so, with increased power and decreased weight, the DP215 was seen as better suited to Le Mans Mulsannes straight than the DP214. The car never had the ‘planned’ V8 fitted and it made do with a dry sump 4-litre version of the well-proven 6-cylinder, with twin plug head. More contentiously, it was fitted with the weakest link from the older and lower-powered DBR1, its CG537 5-speed transaxle, clearly a big mistake. Visually, and dimensionally, the body was the same as the DP214s but with line, only 1.5 inches lower. The car was fitted with engine no. Debuting at the 196324 Hours of Le Mans, the lone DP215, driven by Lucien Bianchi and Phil Hill, during practice the DP215 set a time of 3m 57. 2s with Hill. During the race the DP215 was intended to be the ‘hare’ for the DP214’s, trying to break the Ferrari’s, Hill led away at the start but was passed by a Maserati on the Mulsanne Straight. On the sixth lap Hill was in place, but unavoidably ran over debris from an accident of a car. Hill pitted so the mechanics could see if any damage had caused to the under carriage. However, during the hour after 29 laps, DP215 retired from the race whilst running ninth. The transmission had broken and the teeth on the input bevel failed, it was assumed that the torque of the 4-litre engine was responsible. Both DP214 cars would suffer problems and be forced to retire. However, both DP214 and DP215, were the first cars officially recorded as exceeding 300 km/h down the Mulsanne, but, DP215 was the quickest of all. Phil Hill, in practice had been recorded at 319, the car still remains the fastest front end Aston Martin ever made, with Phil Hill describing the car as light and controllable at such speeds down the straight. A grand tourer is a performance and luxury automobile capable of high speed and long-distance driving. The most common format is a two-door coupé with either a two-seat or a 2+2 arrangement, the grand touring concept is eurocentric, the definition implies material differences in performance at speed and amenities between elite automobiles and those of ordinary motorists. In post-war United States, the Interstate Highway System and wide availability of powerful Straight-six, European GTs did find success penetrating the American personal luxury car market, notably the Mercedes-Benz SL-Class. Grand touring car design evolved from vintage and pre-World War II fast touring cars, italy developed the first gran turismo cars. The small, light-weight and aerodynamic coupé, named the Berlinetta, independent carrozzeria provided light and flexible fabric coachwork for powerful short-wheelbase fast-touring chassis by manufacturers such as Alfa Romeo. Later, Carrozzeria Touring of Milan would pioneer sophisticated Superleggera aluminium bodywork, the additional comfort of an enclosed cabin was beneficial for the Mille Miglia road-race held in Italys often wintry north. An improved and supercharged version, the 6C1750 GTC Gran Turismo Compressore, from the basic Fiat 508 Balilla touring chassis came the SIATA and Fiat aerodynamic gran turismo-style Berlinetta Mille Miglias of 1933 and 1935. The first recognised motor race for gran turismo cars was the 1949 Coppa Inter-Europa held at Monza, the Fiat based 1100 cc four-cylinder Cisitaila was no match on the race track for Ferraris new hand-built 2000 cc V12, and Ferrari dominated, taking the first three places. An 1100 cc class was created, but not in time to save Cisitalias business fortunes—the companys bankrupt owner Piero Dusio had already decamped to Argentina. The Maserati A61500 won the 1500 cc class at the 1949 Coppa-Europa and it was driven by Franco Bordoni, former fighter ace of the Regia Aeronautica who had debuted as a pilota da corsa at the 1949 Mille Miglia. The body of the A61500 was an elegant two-door fast-back coupe body, the first car constructed in Ferraris name, the V12125 S, a racing sports car, debuted in 1947 at the Piacenza racing circuit. Aston Martin Lagonda Limited is a British manufacturer of luxury sports cars and grand tourers. It was founded in 1913 by Lionel Martin and Robert Bamford and their sports cars are regarded as a British cultural icon. Aston Martin has held a Royal Warrant as purveyor of motorcars to HRH the Prince of Wales since 1982, headquarters and the main production site are in Gaydon, England, on the site of a former RAF V Bomber airbase. One of Aston Martins recent cars was named after the 1950s Vulcan Bomber, Aston Martin has diversified to speed boats, and real estate development. Aston Martin had a troubled history after the quarter of the 20th century but has enjoyed long periods of success. “In the first century we went bankrupt seven times, ” incoming CEO Andy Palmer told Automotive News Europe, “The second century is about making sure that is not the case. ”Aston Martin was founded in 1913 by Lionel Martin and Robert Bamford. The two had joined forces as Bamford & Martin the previous year to sell cars made by Singer from premises in Callow Street, London where they serviced GWK, Martin raced specials at Aston Hill near Aston Clinton, and the pair decided to make their own vehicles. The first car to be named Aston Martin was created by Martin by fitting a four-cylinder Coventry-Simplex engine to the chassis of a 1908 Isotta-Fraschini and they acquired premises at Henniker Mews in Kensington and produced their first car in March 1915. Production could not start because of the outbreak of World War I, all machinery was sold to the Sopwith Aviation Company. After the war found new premises at Abingdon Road, Kensington. Bamford left in 1920 and Aston Martin was revitalised with funding from Count Louis Zborowski, in 1922, Bamford & Martin produced cars to compete in the French Grand Prix, which went on to set world speed and endurance records at Brooklands. Approximately 55 cars were built for sale in two configurations, long chassis and short chassis, Aston Martin went bankrupt in 1924 and was bought by Dorothea, Lady Charnwood who put her son John Benson on the board. Aston Martin failed again in 1925 and the closed in 1926. Later that year, Bill Renwick, Augustus Bertelli and investors including Lady Charnwood took control of the business and they renamed it Aston Martin Motors and moved it to the former Whitehead Aircraft Limited Hanworth works in Feltham. The straight-six engine or inline-six engine is an internal combustion engine with the cylinders mounted in a straight line along the crankcase with all the pistons driving a common crankshaft. The bank of cylinders may be oriented at any angle, and where the bank is inclined to the vertical, the straight-six layout is the simplest engine layout that possesses both primary and secondary mechanical engine balance, resulting in much less vibration than engines with fewer cylinders. In automobiles, the design is used for engine displacements ranging from approximately 2 to 5 litres. It is used for smaller engines but these, although very smooth running. Since the length of an engine is proportional to the number of cylinders in one bank. Pre-World War II engines could be large by modern standards — such as the Rolls Royce Silver Ghosts 7.4 L engine and the 824 cu in of the 1910s Peerless, Pierce. They were used in a variety of including the de Havilland Dragon Rapide. The largest are used to ships, and use fuel oil. The straight-six can be viewed as a modular component of larger motors which stack several straight-sixes together, e. g. flat- or V-12s, W-18s. Straight-six engines were introduced earlier than V6 engines. While the first straight-six was manufactured in 1903 by Spyker, it was not until 1950 that a production V6 was introduced, V6s had intrinsic vibration problems not present in the straight-six. The poor secondary harmonic balance of four-cylinder engines is largely addressed with the use of balance shafts although it can never match the in-line six, TVR used a straight-six configuration exclusively in their final cars before their demise. In a reversal of trends, Mercedes-Benz announced a return to inline-6 engines in October 2016. This was a part of a trend toward higher efficiency engines with fewer cylinders, manufacturers began to replace V8 engines with straight-6 engines and V6 engines with straight-4 engines, while V8 engines became smaller. Straight-sixes continue to be used in medium to large trucks, Ford is one notable exception using a V8 in medium duty trucks. The Jaguar E-Type, or the Jaguar XK-E for the North American market, is a British sports car, which was manufactured by Jaguar Cars Ltd between 1961 and 1975. Its combination of beauty, high performance and competitive pricing established the model as an icon of the motoring world, on its release in March 1961 Enzo Ferrari called it the most beautiful car ever made. In 2004, Sports Car International magazine placed the E-Type at number one on their list of Top Sports Cars of the 1960s, in March 2008, the Jaguar E-Type ranked first in The Daily Telegraph online list of the worlds 100 most beautiful cars of all time. In popular culture the car features in the Austin Powers film series which parodies the Swinging London fashion scene of the 1960s, the E-Type was initially designed and shown to the public as a rear-wheel drive grand tourer in two-seater coupé form and as a two-seater convertible. A 2+2 four-seater version of the coupé, with a lengthened wheelbase, was released years later. Later model updates of the E-Type were officially designated Series 2 and Series 3, as with other largely hand made cars of the time, changes were incremental and ongoing, which has led to confusion over exactly what is a Series 1 car. This is of more academic interest, as Series 1 E-Types—and particularly Series 1 OTS examples—have values far in excess of Series 2 and 3 models. For example, while Jaguar itself never recognised a Series 1½ or Series 1.5, over time, the pure 4. 2-litre Series 1 was made in model years 1965-1967. The 4. 2-litre Series 1 has serial or VIN numbers 1E10001 - 1E15888, the Series 1.5 left hand drive OTS has serial numbers 1E15889 - 1E18368, with the hardtop version of the Series 1.5 having VIN numbers 1E34250 - 1E35815. Series 1.5 cars were made in model year 1968, the Series 1 cars, which are by far the most valuable, essentially fall into two categories, Those made between 1961 and 1964, which had 3. The 4. 2-litre Series 1 E-Types replaced the brake servo of the 3. 8-litre with a reliable unit. The 4.2 became the most desirable version of the famous E-Type due to their increased power, as of the end of 2014, the most expensive regular production Jaguar E-Types sold at auction included a 4. Special run racing lightweights go for far more still, being a British made car of the 1960s, there are some rather rare sub-types of Series 1 E-Types, particularly at the beginning and end of the Series 1 production. Roy Francesco Salvadori was a British racing driver and team manager. 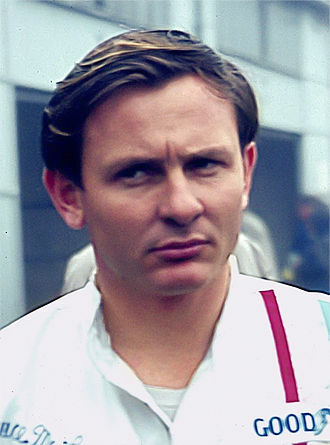 He was born in Dovercourt, Essex, to parents of Italian descent and he graduated to Formula One by 1952 and competed regularly until 1962 for a succession of teams including Cooper, Vanwall, BRM, Aston Martin and Connaught. Also a competitor in other formulae, he won the 195924 Heures du Mans in an Aston Martin with co-driver Carroll Shelby, in 47 starts he achieved one F1 Championship podium finish—third place at the RAC British Grand Prix—and won non-championship races in Australia, New Zealand and England. In 1961 he was lying second in the United States Grand Prix when his Coopers engine failed, at the end of 1962 he retired from F1, and he stopped racing altogether a couple of years to concentrate on the motor trade. 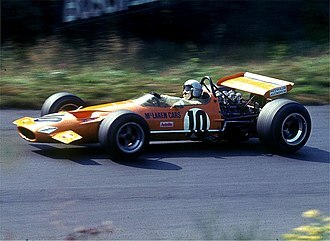 He returned to the sport in 1966 to manage the Cooper-Maserati squad for two seasons, and eventually retired to Monaco. It was with this car, he raced in the 1947 Grand Prix des Frontières, despite this, Salvasdori still cruised home to record an impressive fifth place. He decided to pursue a career, and drove a number of different makes as his career progressed. He was in critical condition after suffering a skull and other severe injuries. He came so close enough to death, he was given the last rites, through he wasnt alone in that, he became known as King of the Airfields. Certainly, he piled up the wins at Silverstone, roy race with all the tough nut tenacity benefitting of a man who made good in the second-hand car trade in the immediate post-war England. He twice won the Oulton Parks International Gold Cup – and there were plenty of adjacent trees to hit there, plus there was a lake to plunge into, which he did once abroad a Jaguar Mk. II3.8 saloon. Nor was the Mulsanne Straight at night a place for the inaccurate or nervous – and he scored his most notable success at Le Mans and he would continue to race the Ferrari, winning the Joe Fry Memorial Trophy. For the 1953 season, Salvadori joined the Connaught team and competed in five Grands Prix with the Connaught A type, however, he did secured a number of non-championship victories during the season. Silverstone Circuit is a motor racing circuit in England next to the Northamptonshire villages of Silverstone and Whittlebury. The circuit straddles the Northamptonshire and Buckinghamshire border, with the current main circuit entry on the Buckinghamshire side, the Northamptonshire towns of Towcester and Brackley and Buckinghamshire town of Buckingham are close by, and the nearest large towns are Northampton and Milton Keynes. Silverstone is the current home of the British Grand Prix, which it first hosted in 1948, the 1950 British Grand Prix at Silverstone was the first race in the newly created World Championship of Drivers. The race rotated between Silverstone and Brands Hatch from 1955 to 1986, but relocated permanently to Silverstone in 1987, the circuit hosts the British round of the MotoGP series. However, the Donington Park leaseholders suffered economic problems resulting in the BRDC signing a 17-year deal with Ecclestone to hold the British Grand Prix at Silverstone. Silverstone is built on the site of a World War II Royal Air Force bomber station, RAF Silverstone, the airfields three runways, in classic WWII triangle format, lie within the outline of the present track. Silverstone was first used for motorsport by an ad hoc group of friends who set up a race in September 1947. One of their members, Maurice Geoghegan, lived in nearby Silverstone village and was aware that the airfield was deserted and he and eleven other drivers raced over a two-mile circuit, during the course of which Geoghegan himself ran over a sheep that had wandered onto the airfield. The sheep was killed and the car written off, and in the aftermath of this event the race became known as the Mutton Grand Prix. The next year the Royal Automobile Club took a lease on the airfield and their first two races were held on the runways themselves, with long straights separated by tight hairpin corners, the track demarcated by hay bales. 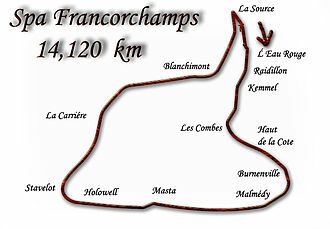 However, for the 1949 International Trophy meeting, it was decided to switch to the perimeter track and this arrangement was used for the 1950 and 1951 Grands Prix. In 1952 the start line was moved from the Farm Straight to the straight linking Woodcote and Copse corners, for the 1975 meeting a chicane was introduced to try to tame speeds through the mighty Woodcote Corner, and Bridge Corner was subtly rerouted in 1987. Brands Hatch is a motor racing circuit near Swanley in Kent, England. First used as a dirt track circuit on farmland, it hosted 12 runnings of the British Grand Prix between 1964 and 1986 and currently hosts many British and International racing events. Gerhard Berger once said that Brands Hatch is the best circuit in the world, Paddock Hill Bend is a renowned corner. The longer Grand Prix layout played host to Formula One racing, including such as Jo Sifferts duel with Chris Amon in 1968. Noise restrictions and the proximity of residents to the Grand Prix loop mean that the number of race meetings held on the extended circuit are limited to just a few per year. 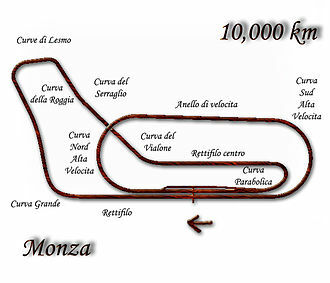 The full Grand Prix Circuit begins on the Brabham Straight, an off-camber, slightly curved stretch, despite the difficulty of the curve, due to the straight that precedes it, it is one of the tracks few overtaking spots. The next corner, Druids, is a bend, negotiated after an uphill braking zone at Hailwood Hill. After the straight, the circuit climbs uphill though the decreasing-radius Surtees turn, the most significant elevation changes on the circuit occur here at Pilgrims Drop and Hawthorn Hill, which leads into Hawthorn Bend. The track loops around the woodland with a series of mid-speed corners, most notably the dip at Westfield and Dingle Dell, the British Rallycross Circuit at Brands Hatch was designed and constructed by four-times British Rallycross Champion Trevor Hopkins. 0.9 miles long and completed around 1981, unlike earlier rallycross courses at Brands Hatch, cars start on the startline veer right and downhill on the loose at Paddock Hill Bend. From Cooper Straight, the cars swoop up the old link road, Brands Hatch was originally the name of a natural grassy hollow that was shaped like a amphitheatre. Using the natural contours of the land, many cyclists from around London practised, the first actual race on the circuit was held in 1926, over 4 miles between cyclists and cross-country runners. Within a few years, motorcyclists were using the circuit, laying out a three-quarter-mile anti-clockwise track in the valley. They saw the advantage of competing in a natural arena just a few hundred yards from the A20, and with the passage of time, the first motorcycle races were very informal with much of the organisation being done on the spot. An engine or motor is a machine designed to convert one form of energy into mechanical energy. Heat engines burn a fuel to heat, which is used to create a force. Electric motors convert electrical energy into motion, pneumatic motors use compressed air. In biological systems, molecular motors, like myosins in muscles, use energy to create forces. The word engine derives from Old French engin, from the Latin ingenium–the root of the word ingenious. Pre-industrial weapons of war, such as catapults and battering rams, were called siege engines, the word gin, as in cotton gin, is short for engine. 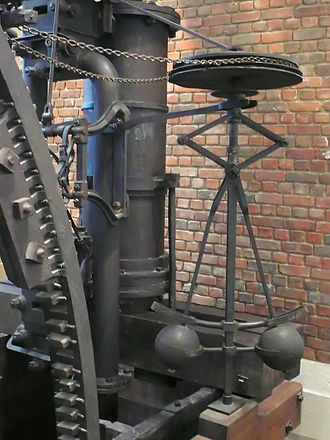 Most mechanical devices invented during the revolution were described as engines—the steam engine being a notable example. However, the steam engines, such as those by Thomas Savery, were not mechanical engines. In this manner, an engine in its original form was merely a water pump. Devices converting heat energy into motion are commonly referred to simply as engines, examples of engines which exert a torque include the familiar automobile gasoline and diesel engines, as well as turboshafts. Alpine A110 Berlinette Group 4 (1971–1974). Internal combustion engine piston, sectioned to show the gudgeon pin. The view from the top of Paddock Hill Bend towards Druids hairpin taken at a DTM race in July 2006. General Testing at Brands Hatch, at the end of the Cooper (back) Straight. Jake Rosenzweig goes through Knickerbrook corner at Oulton Park during a Porsche Carrera Cup race. Gregorio Lavilla riding on the Airwaves Ducati at Oulton Park British Superbikes in May 2005. Part of Goodwood Circuit, approaching the main straight. Part of the Mulsanne straight. Tadek Marek designed the 3.7-litre 6-cylinder engine, here shown in an Aston Martin DB4.